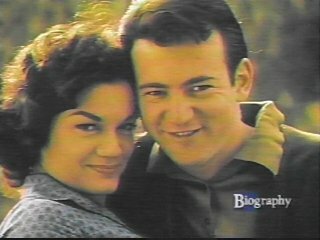 On October 25, 1998 the A&E Network aired "Connie Francis: America's Sweetheart Of Song," on their Biography program. 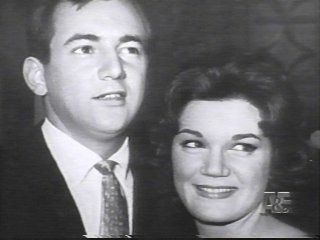 Of course, every Bobby Darin fan knows how close he and Connie were at the beginning of their careers. The program showed many rare pictures of Bobby and Connie together with clear footage of them singing together on "The Ed Sullivan Show." Over all, the show was an inspiring tribute to one of the most popular female singers of all time. A&E continues to rebroadcast the tribute, from time to time. You can purchase it from them, but be aware that the scene with Connie and Bobby singing on "The Ed Sullivan Show" is not available on the tape they sell, probably due to licensing issues.